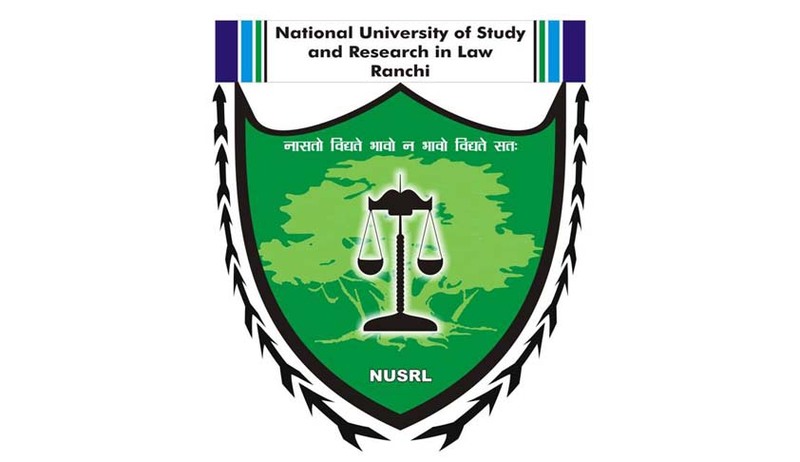 National University of Study and Research in Law, Ranchi invites applications from suitable candidates in different fields of study to join as Faculty in the University. As per UGC norms. All these positions are subject to the qualifications and experience prescribed by the UGC. The terms and conditions of service shall be in accordance with the NUSRL Administrative and Management Regulations, 2017. The appointments shall be governed by University Grants Commission (Minimum Qualifications for Appointment of Teachers and other Academic Staff in Universities and Colleges and Measures for the Maintenance of Standards in Higher Education) (4th Amendment) Regulations, 2016. Download the prescribed application form here. Duly filled in application form along with Demand Draft of Rs.1,000/- (application fee) drawn in favour of “Registrar, NUSRL Ranchi” payable at Ranchi and with the relevant supporting documents duly self-attested should be sent to The Registrar, National University of Study and Research in Law. The candidates may apply for Permanent/Contractual/Both nature of posts. The candidates applying for different category of posts shall submit separate application form along with separate application fee. Candidates should send self-attested copies of certificates and mark-sheets from matriculation onwards in support of their qualifications. The regular posts are subject to confirmation after completion of one-year probation period satisfactorily. The post carries DA, HRA, TA and academic allowance as per UGC scale. No TA/DA for attending the interview is admissible. For more detailed instructions and pay band, click here.